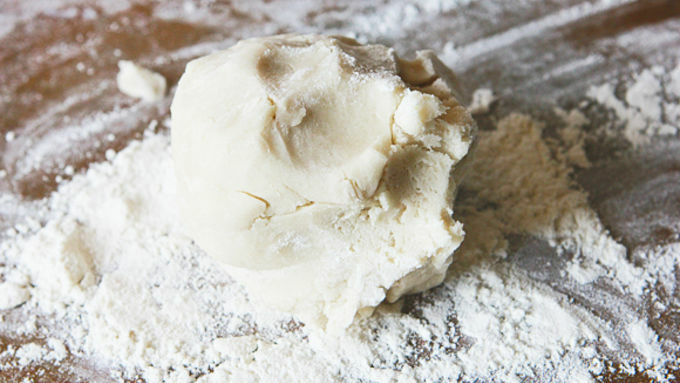 Sprinkle flour over Pillsbury™ sugar cookie dough, knead until well combined. 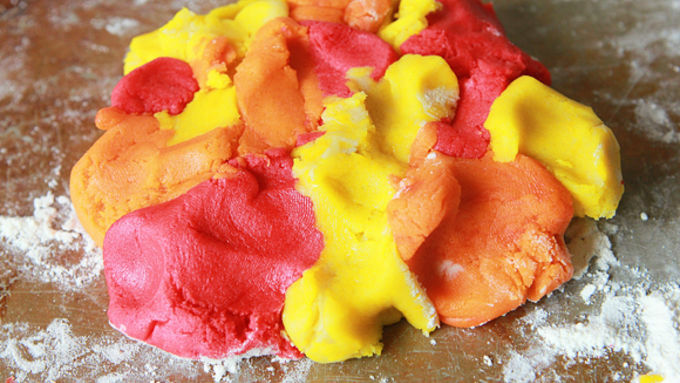 Split dough into three equal portions. 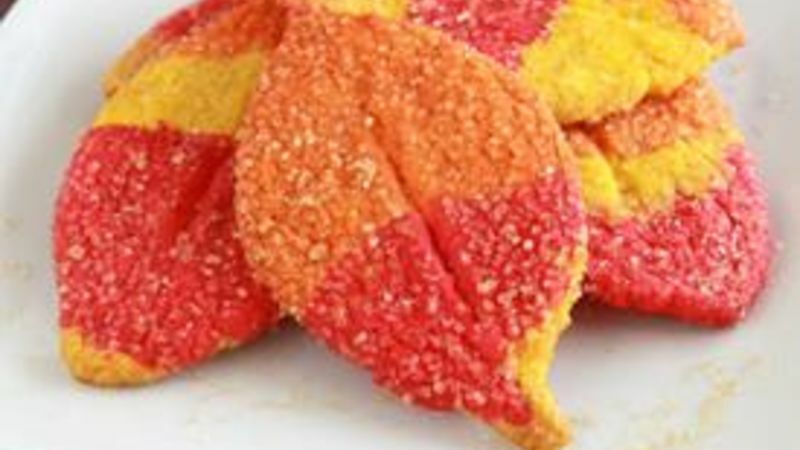 Place a teaspoon of red, orange, or yellow food gel onto each portion. Knead until the dough is fully colored. Tear small pieces of the dough off, roll into balls, then place each ball into a checkerboard pattern, making sure the colors are all mixed up. 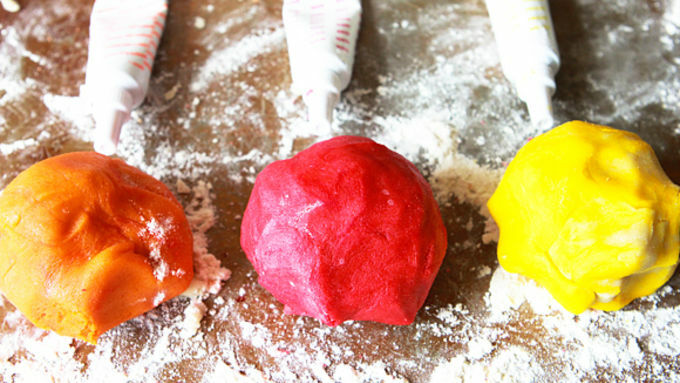 Pat the colored dough balls together. 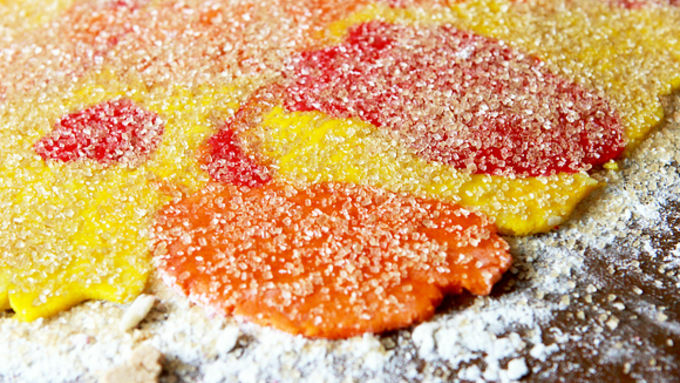 Sprinkle turbinado or sparkling sugar over the dough, then use a wooden rolling pin to roll the dough to about 1/4 inch thick. 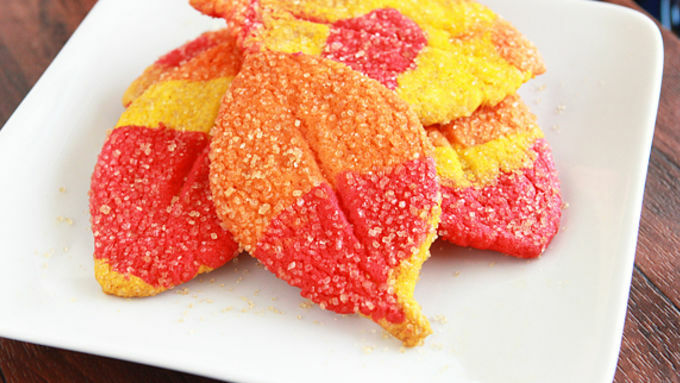 With a sharp knife, cut dough into teardrop-shaped leaves. Press the knife gently into the center of the leaf to create a leaf impression. 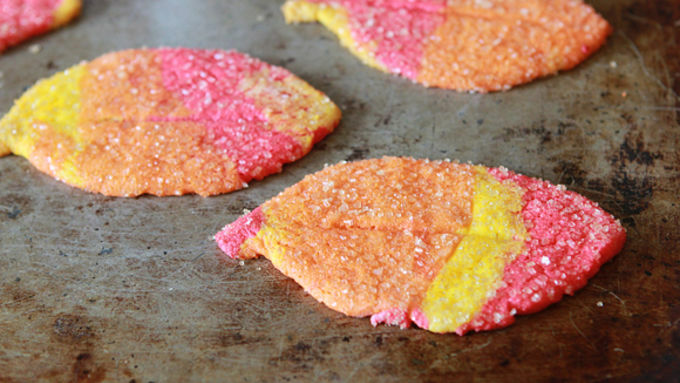 Transfer each cookie to a baking sheet. Bake for 8-10 minutes, or just until the center of each cookie has set.